How can Audio Dallas save me money ? Although some studios and home studio may seem cheaper, it may not end up saving you money. Home studios are meant for experimenting which can waste a lot of your creative time and money. At Audio Dallas, we don’t “experiment” trying to get the particular sound you are looking for. We are experienced professionals who will work with you to ensure a satisfactory final product. Why should I book my next project at Audio Dallas? Audio Dallas has a unique atmosphere, track record and engineers. We’re not a large studio that focuses only on money-making music or an inexperienced home studio. We’re designed to create and produce the dream and passion of music to the listeners’ ears. We don’t just hit the record button. We help guide you through the process with confidence, offering you directions, tips and advice with every step of the recording process. We encourage you to visit other studios to get a feel of how studios work, but you will find Audio Dallas as one of the most unique studios in the industry. We are willing to work within your budget. As stated before, we focus on an artist’s passion for music and will do everything within our means to help the artist reach his or her goal. Can I tour the studio and listen to samples? Definitely. We encourage everyone to visit the studio before you make an appointment. You are welcome to come in and listen to our samples over a cup of coffee, or you can surf online to get a taste of the thousands of projects we have worked on. Can you mix my project or add overdubs if I bring you the files? Yes. Some studios and artist often send the files to Audio Dallas to mix and take advantage of our Neve console and vintage outboard gear. 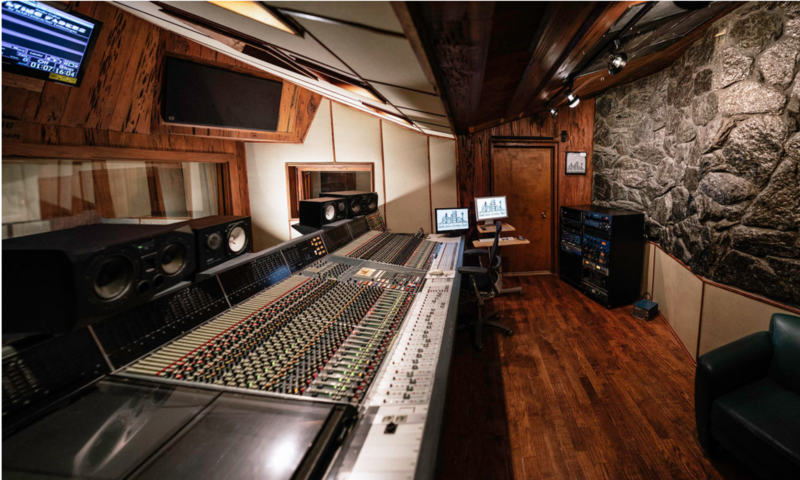 Or, if you need a larger room for tracking drums, piano, B-3, or large group vocals. Give us a call at 972-276-3896 or shoot us an email at info@audiodallas.com with questions or to book a date. We have great customer service that will not leave you waiting. Partial payments are required to book a session. Balances are due at the end of each session, unless prior arrangements have been approved. No mix or rough mix recordings will be provided with-out full payment. Either cash or a major Credit Card. We do not accept checks unless approved prior to session date. There is a two hour minimum on all bookings. If time allows, we will give bands up to 30 minutes prior to the booked session to set up. The clock starts when our staff steps in. Can we bring food and drink to the studio? Yes, but only in our break room. We do not allow food and drink of any kind in our tracking room because we are extremely professional and so is our equipment. We do not want to risk damaging our expensive equipment. It should also be known that we do not condone illegal drugs nor are they allowed on our premises. Can we bring our buddies to the session? We do not recommend bringing friends along. The more people that are involved, the more the confusion, the slower the session. You’re paying for our time and we definitely do not want it to go to waste. Can I take pictures or videos of Audio Dallas? Can I use the studio drum kit? Yes. We provide a Gretsch Renown with USA maple shells. Can I request piano tuning done prior to session? Yes, We generally have the piano tuned every few months. If your session falls between those times you can, for a fee, have the piano tuned by a qualified approved piano tuner. Will you keep and store my session data or tapes? No. You shouldn’t assume your data or tapes are safe at ANY facility. They are your expensive personal property. It’s important for you to know that all hard drives can fail resulting in lost data. Prior to ending any session, make sure you allow time for doing rough mixes and backing up your session data to YOUR storage medium. Audio Dallas is not responsible for your data. Backup fees are part of the session billing time or if possible can be backed up to your device for a fee at a later time if arranged and scheduled. Can you help me get a record deal or get me on the next episode of the big televised talent/entertainment show? No. That is not a part of our services. How can I be better prepared for my session? We recommend that you do an internet search of “Preparing for a recording session”. There is wealth of articles and blogs on the internet that is worth taking the time to read. Reading them will save you time and money. Can you help with food and lodging arrangements? Yes. There are many fine hotels and restaurants in the area that we can help direct you. If you have a question that is not answered on this page, please give us a call and we will advise you appropriately.